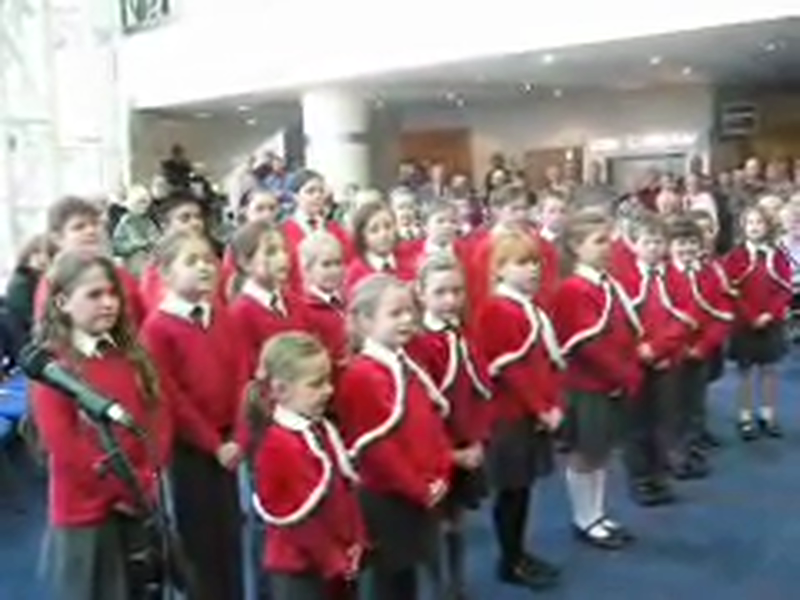 On Monday 3rd December our school choir went to Symphony Hall. There, they sang a song called 'Moonbeams' watched by lots of people, who were standing all around us and up on different floors. Symphony Hall's gonna be great! they're all the way up. lead from the guitarist was admirable in such young children. They completed a really enjoyable concert.